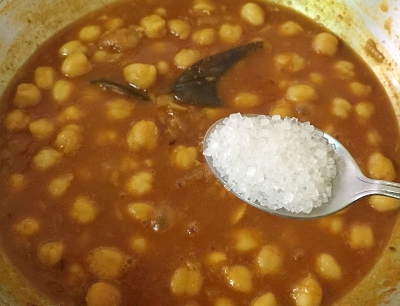 Chana Masala is a popular Punjabi dish. 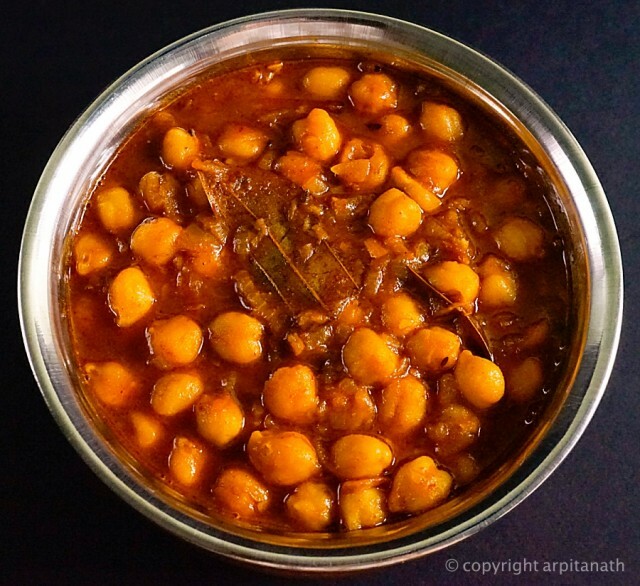 In this recipe, chana or chickpeas are cooked in rich onion based gravy and best served with Punjabi Bhatura or Puri as evening snack or dinner. 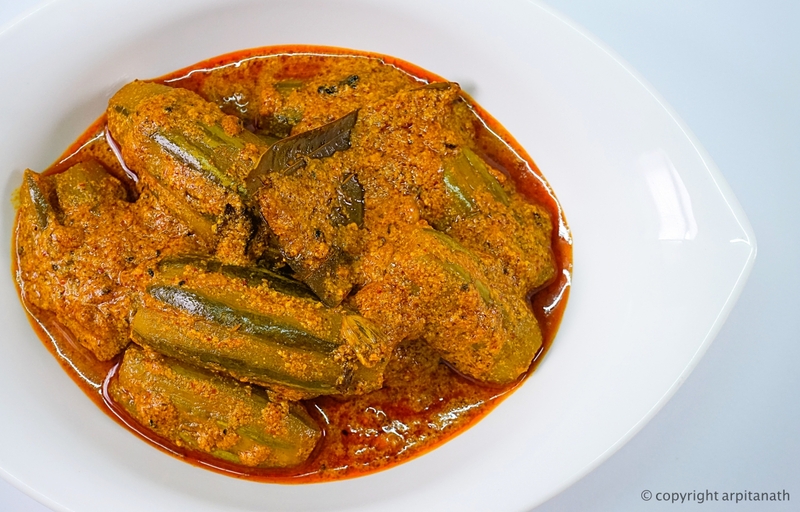 This spicy curry looks so tempting and tastes delicious. 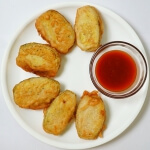 Serve along with some Pickled Onion and salad. 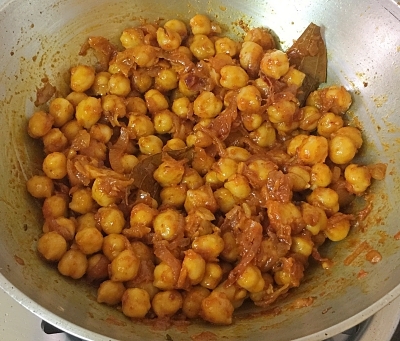 Rinse and soak 1 cup of chickpeas (it will become 2 cups when get boiled) in enough water overnight or for 6-8 hours. 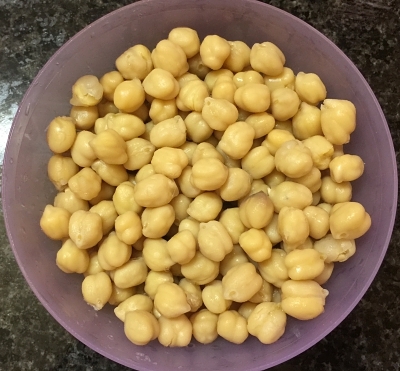 Next day, drain chickpeas and wash in fresh water and put into a pressure cooker. 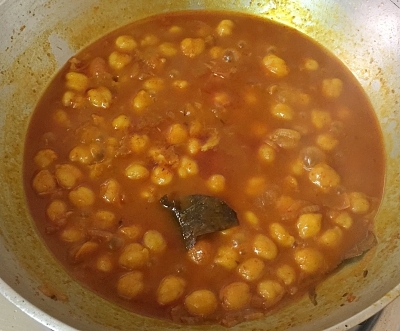 Add 3 cups of water and pressure cook the chickpeas for 6-7 whistles (I did for 6 whistles). 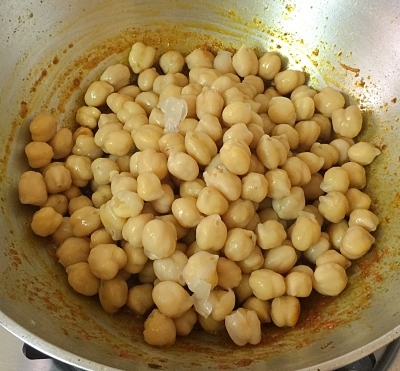 When the pressure settles down on its own, open the lid, check if the chickpeas are cooked or not by pressing one. They should be completely cooked. 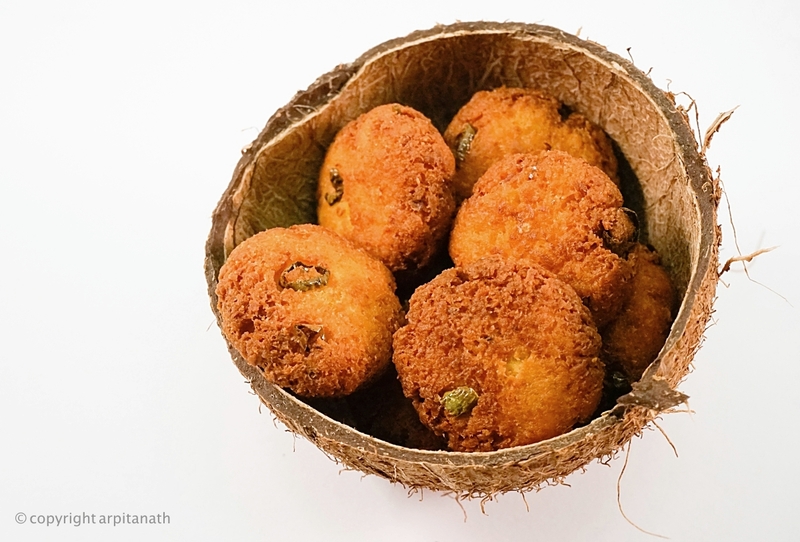 If they are not cooked completely, then pressure cook again adding some water if required for some more minutes. 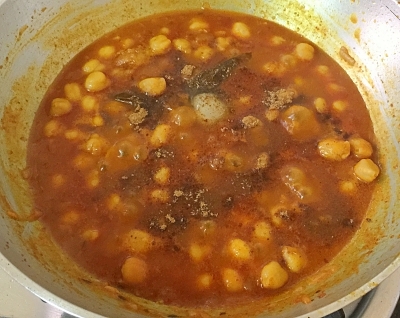 Strain the boiled chickpeas and reserve the stock for later use. Set them aside. 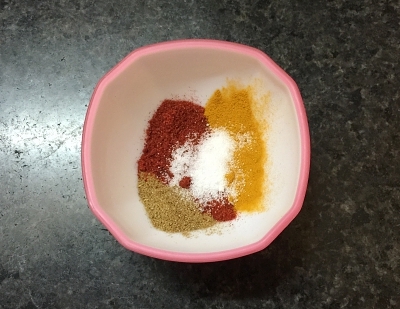 In a bowl, add coriander powder, red chilli powder, turmeric powder, salt and tomato ketchup. 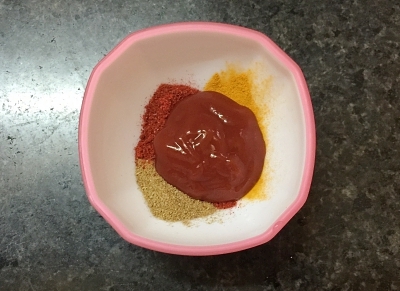 Mix with some water and make a paste. Keep it aside. Now heat oil in a pan. 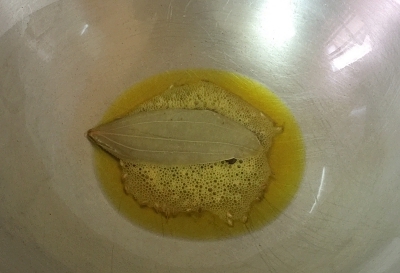 Add cumin seeds and bay leaf into the oil and wait for them to splutter. 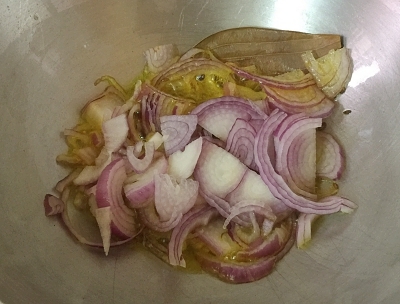 Then add sliced onion and cook for 4-5 minutes on medium heat. 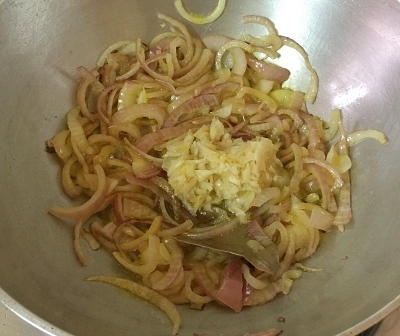 Meanwhile, add ginger and garlic paste and cook until the raw smell of garlic has gone. 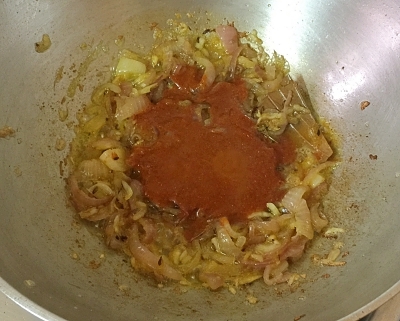 When the onion and garlic is cooked well, add the spices mixture into the pan and cook until the gravy oozing out oil from the sides. 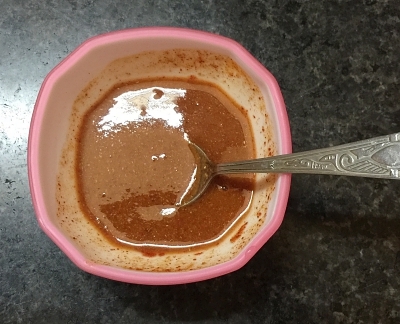 It will take around 10 minutes to cook the gravy. 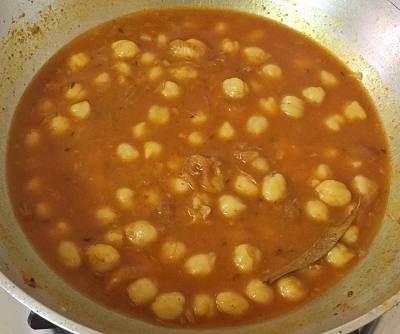 Once the gravy is done, add the boiled chickpeas into the pan and mix it with the gravy. Cook for 5 minutes. Now add 1 to 1.5 cup of stock and give it a stir. 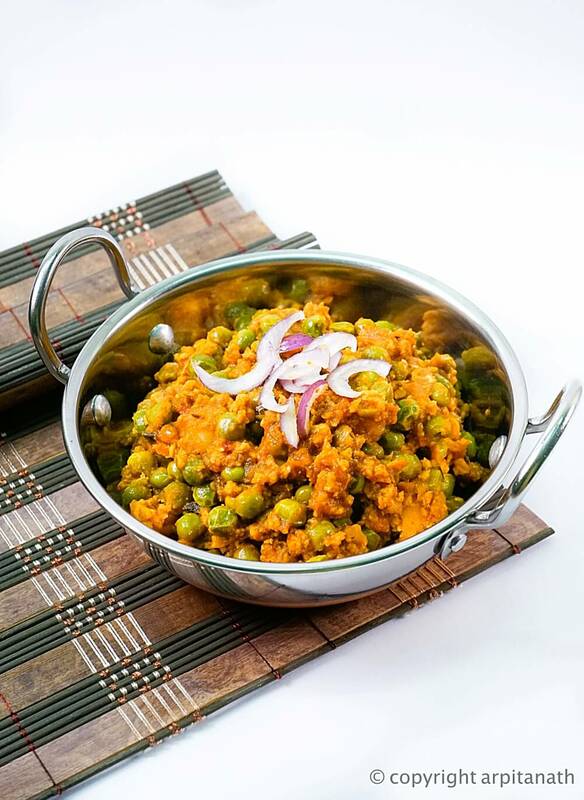 Cover the pan and cook for 15 minutes on low flame. After 15 minutes, open the lead and stir it well. 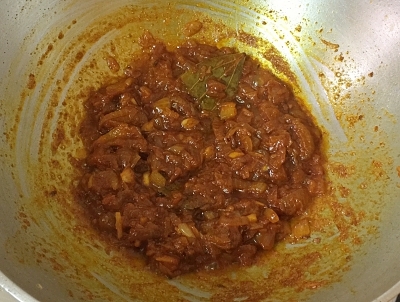 Simmer and cook for another 5-10 minutes. 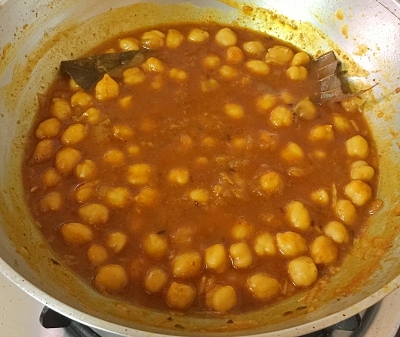 When the chole masala has thickened and comes to the right consistency which is neither too thick nor thin, add sugar, ghee and garam masala powder. 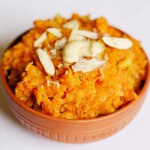 Stir well and cook for another 2-3 minutes. 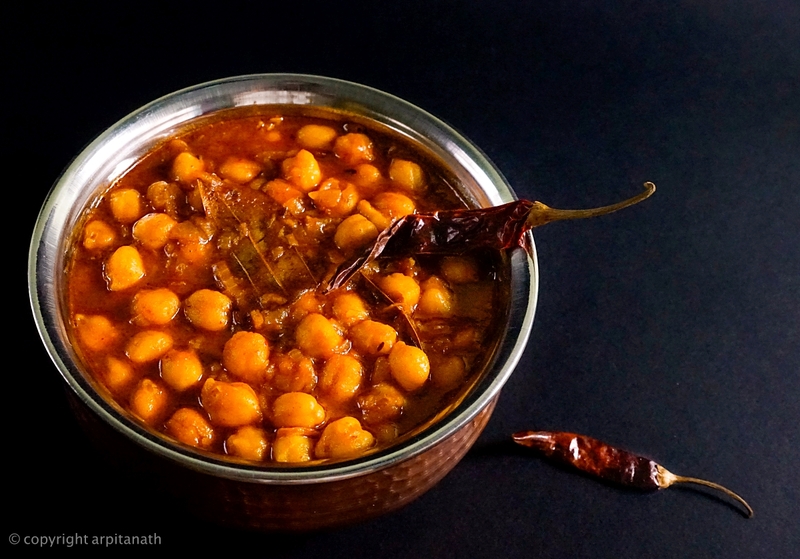 Switch off the flame and your Chana Masala is ready to serve. 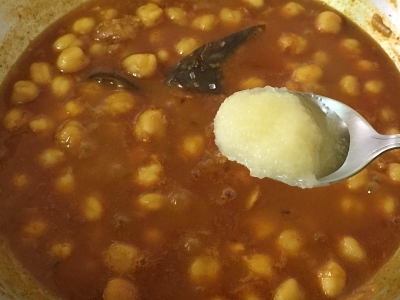 Do not add salt while boiling the Chickpeas. 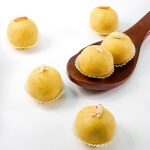 Serve with bhatura or puri. 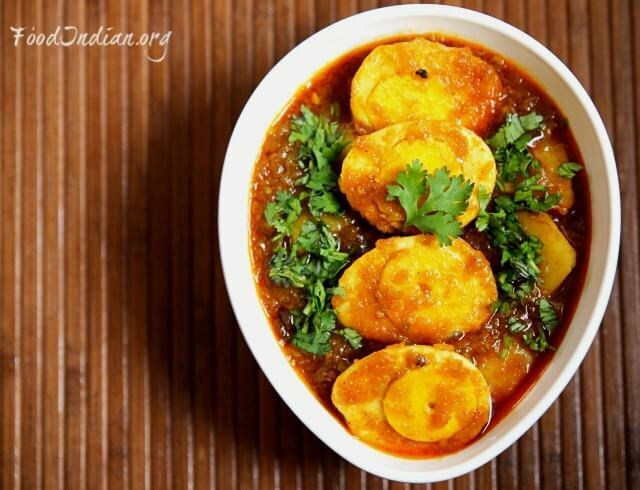 You can also search for more Vegetarian Recipes like Chana Chaat, Baingan ka Bharta, Bhindi Masala and many more. Thank you for your kind comments .